The ACT Healthy Waterways project is a joint initiative of the ACT and Australian governments; the project aims to improve the quality of water throughout our rivers, lakes and waterways, through the construction of stormwater treatment assets including Bioretention systems, ponds, channels and wetlands. As our local lakes and waterways not only contribute to beautiful landscape, but also provide places for recreation and a means of supporting local business such as farming activities, it is essential that water quality throughout the region is cared for. 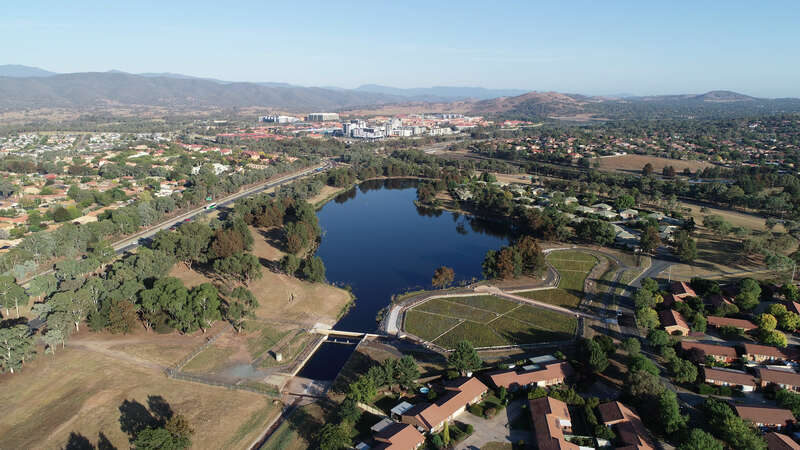 The scope of design work for the sites builds upon previous scoping studies and integrates Indesco's engineering and landscape services for a holistic design led approach for 11 sites within the ACT with 10 of these sites being constructed and currently nearing practical completion.